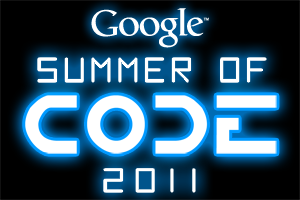 We are pleased to announce the end of another successful Google Summer of Code, our program designed to introduce university students from around the world to open source development. Back in late May, 1,115 university students from 68 countries began writing code for 175 open source organizations with the help of over 2000 mentors from 55 countries. We are excited to announce that just over 88% of the students passed their final evaluations, this was just shy of 2010’s record success rate of 89%. We’ll be posting more tasty stats about the 2011 program here soon. Meanwhile you can view a variety of statistics on the previous six years of the program. Mentoring organizations will also be posting wrap up reports over the coming weeks so stay tuned! Now that the program has ended for the summer, the students are busy preparing their code samples for all eyes to see. Soon you will be able to go to the program site where organizations will have links to the student’s code repository on code.google.com. Thank you to all of the students, mentors and organization administrators that have helped to make this 7th year of the Google Summer of Code a roaring success!